We’re lucky to have a handful of local mobile chefs who prepare soup and keep it in stock. It’s a popular option for carry-out, especially as the weather cools down. 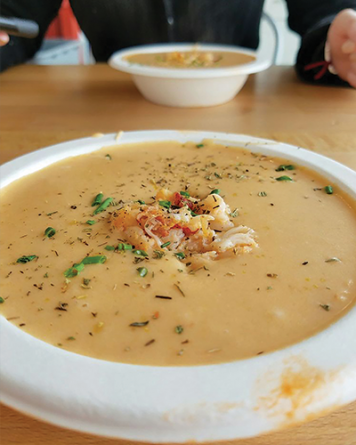 Here are three spots that cater to our craving for slurping soup when we’re out and about along the Wasatch Front. Co-owners Zara Ahmed and Abby Pfunder of the pop-up Alpine melty-cheese experience Raclette Machine have been keeping Wasatch Front customers happy with traditional and trendy raclette. Essentially, the entire surface of a halved wheel of Alpine-style cheese (such as Gruyère) is toasted under a portable broiler and then the melty part is scraped by hand over various delicious bases like toasted bread, potatoes or on loaded sandwiches. 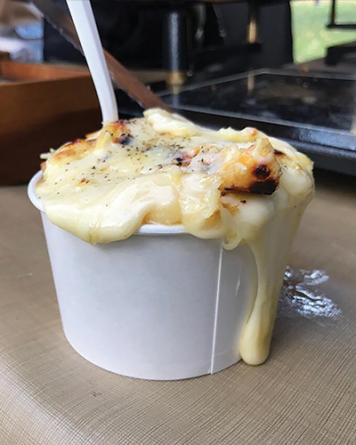 Starting in September each year and going strong as long as the weather stays cool, Raclette Machine also offers a savory and satisfying take on French onion soup. Using a vegan base, they top off the fragrant broth with garlic croutons followed by what Ahmed describes as a “fat scrape” of ooey-gooey raclette. “My personal favorite part is the way the textures play with each other: the broth, onions, crispy croutons and creamy raclette taste delicious. Especially on a snowy day,” Ahmed says. 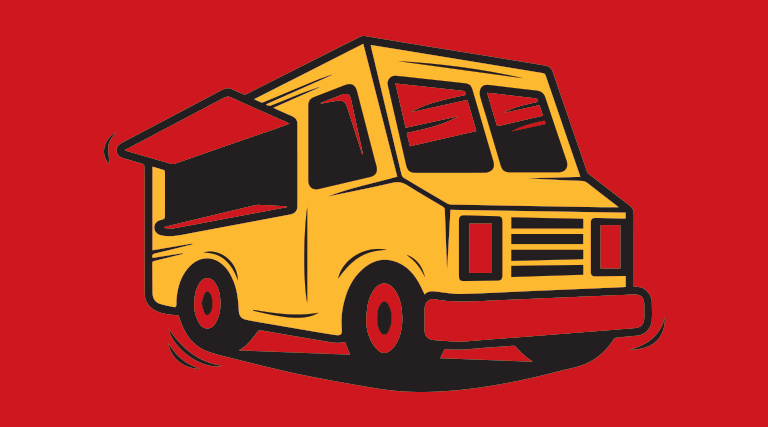 With year-round catering available and pop-ups at spots like Amour Café and A. Fischer Brewing Co., the Raclette Machine folks recently purchased a food truck to expand their fromage-peddling phenomenon. Ramen is the exception to the “it’ll keep” rule usually associated with soup. While the rich broth bases are made ahead of time, each generous serving of ramen noodles with fresh toppings is assembled to order by Ramen Mobile owner Miwako “Miwa” Hunter and her team. With fragrant broth options like roast bone-in pork, soy and miso, each menu option includes traditional Japanese toppings like sprouts, green onion, boiled egg and a generous slice (or two) of roast pork. On a blustery day, a hearty bowl of spiced-up Devil Ramen built with your choice of soup base hits the spot. 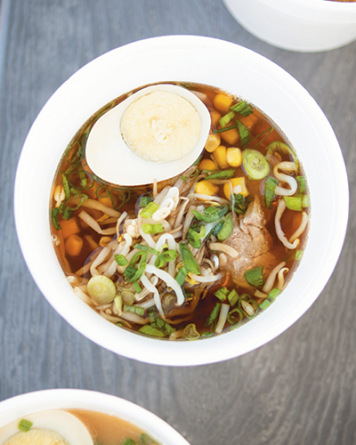 After relocating to Utah from Japan several years ago, Hunter wanted to bring the “slurping encouraged” flavors of ramen to the Wasatch Front. By using a tow-behind trailer, she’s able to keep the operation running from South Jordan to downtown SLC even in the coldest weather, “We are all year-round service,” she says with a smile. You’d have to be hiding under a rock on the bottom of the Atlantic Ocean to have missed the earth-shattering news earlier this year: The best lobster rolls in the nation hail not from Maine, but right here in Utah by transplanted New Englanders Lorin and Ben Smaha, who now live in Park City. Their lobster-based pop-up catering business and food truck became so popular, they’ve opened up storefronts in both Park City and Salt Lake City to satisfy the mass craving for all things crustacean.